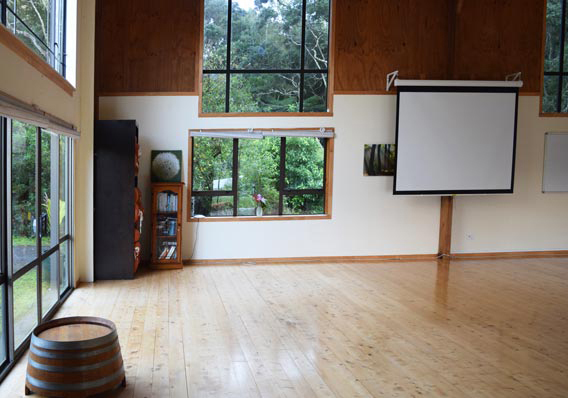 Looking for a venue to hire for your workshop or seminar? 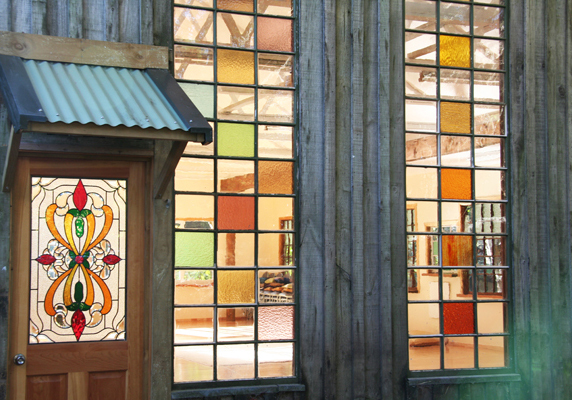 We offer five indoor and three outdoor workshop spaces varying in size, character and charm. 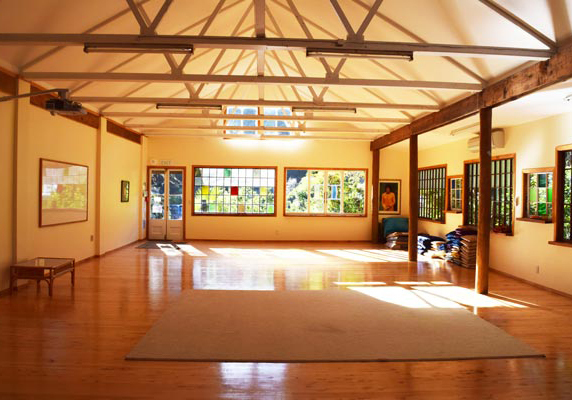 The spaces provide an ideal environment for retreat participants to pursue self-exploration, growth and re-discover personal peace and well-being. 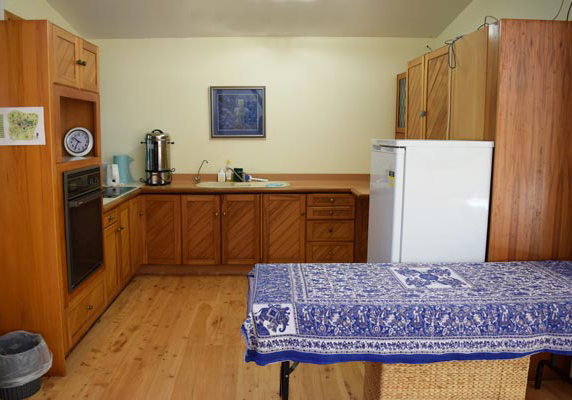 Our smallest space seats 30 and our largest up to 150 people. 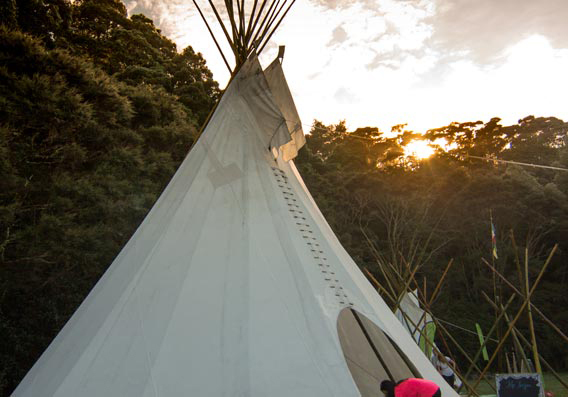 In the warmer summer months we also have two additional outdoor tents to hire. 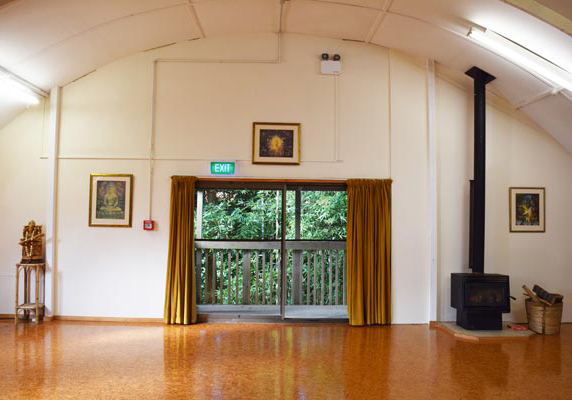 Some of our venues (Prema Lounge, Lotus and Kahikatea) are wheelchair accessible, please contact us directly if you’d like to know more. 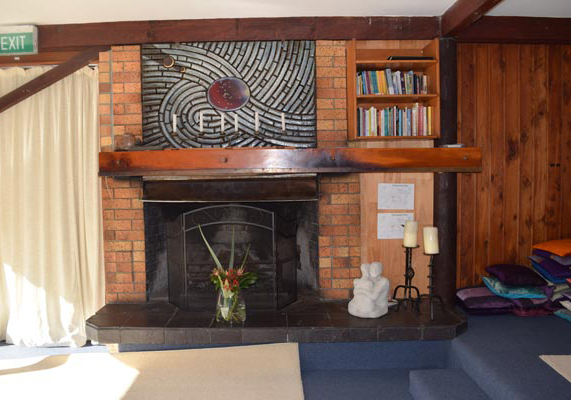 Free WiFi is available to retreat participants (our WiFi covers most of the indoor areas). 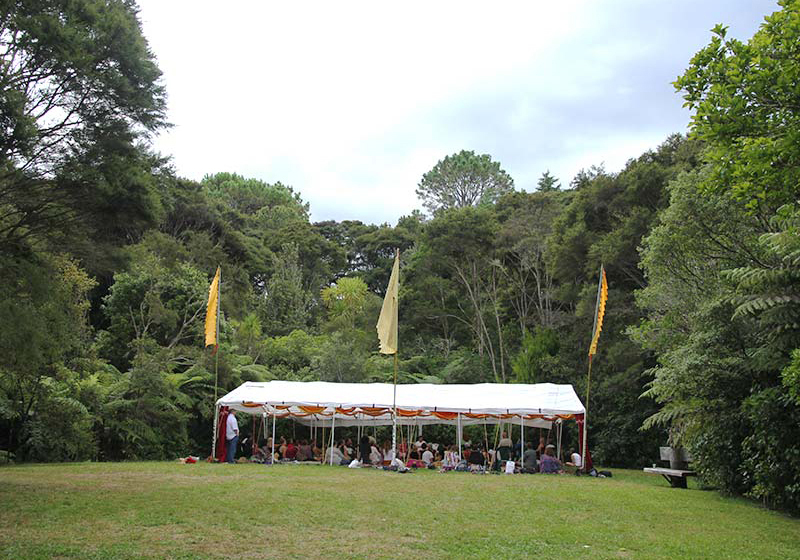 Check out Kawai Purapura’s Centre Map. 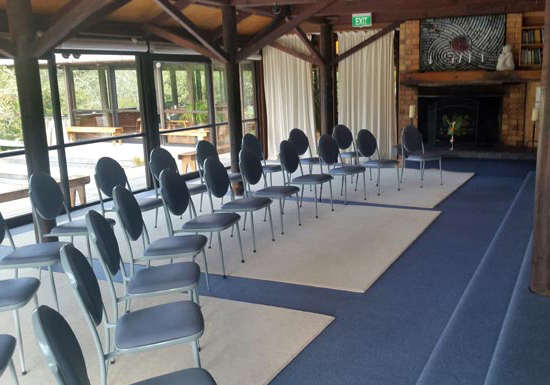 We can foster smaller or bigger groups, take care of catering and help you with technical set up for your presentation. 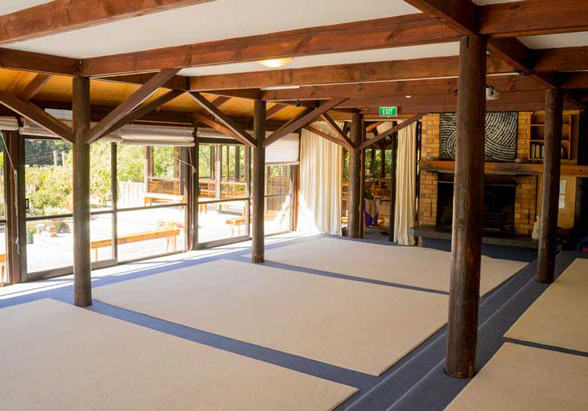 Prema Lounge is a large, carpeted workshop space that offers an open fireplace, sunny bush-clad outlook and opens out onto the expansive deck. 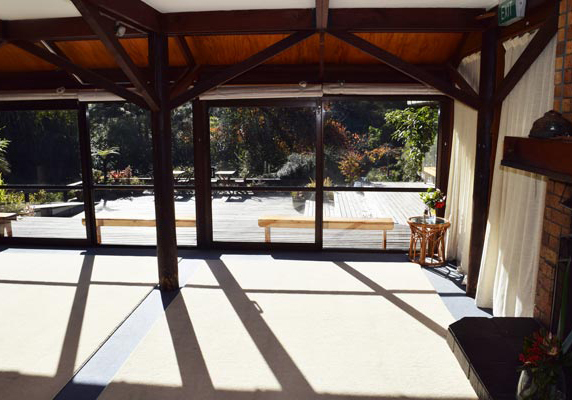 The room has two levels; the second level is conveniently elevated few steps above the first level. 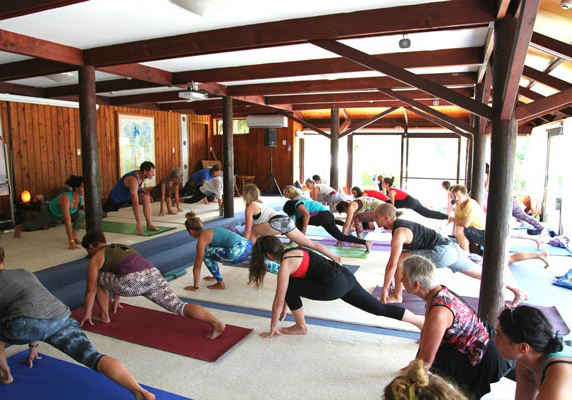 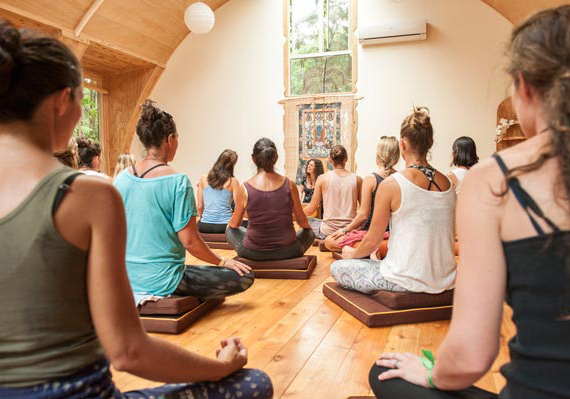 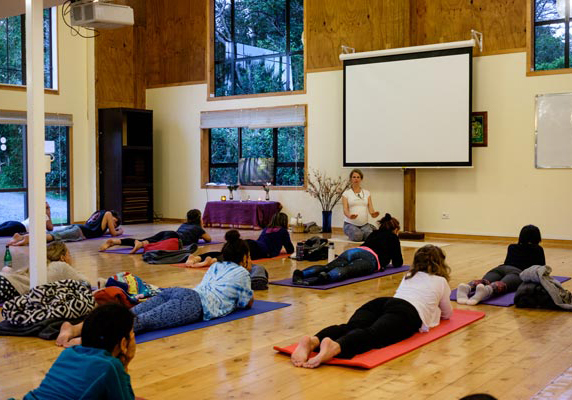 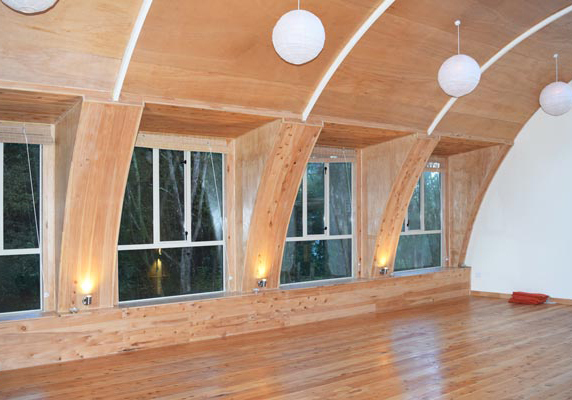 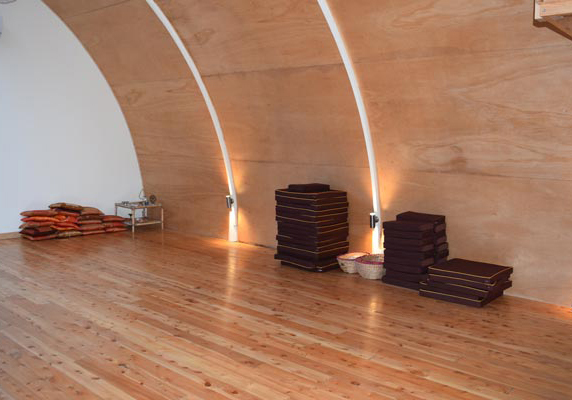 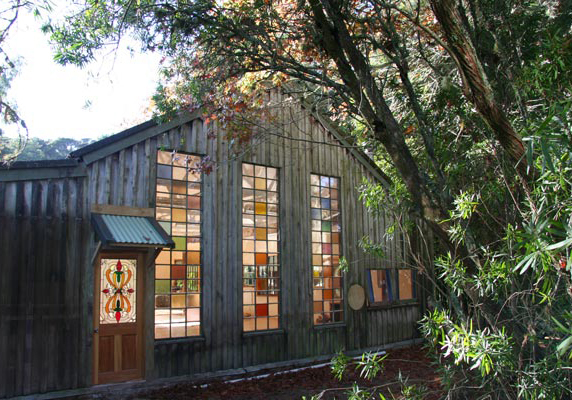 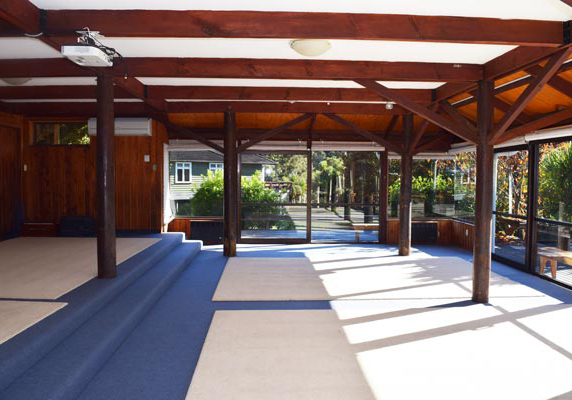 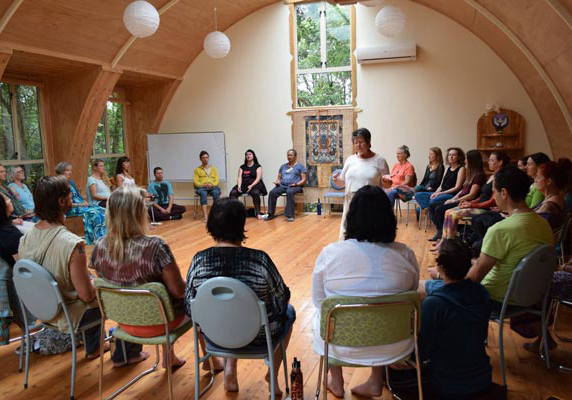 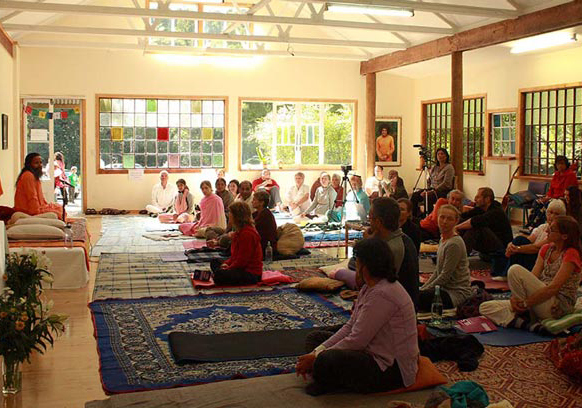 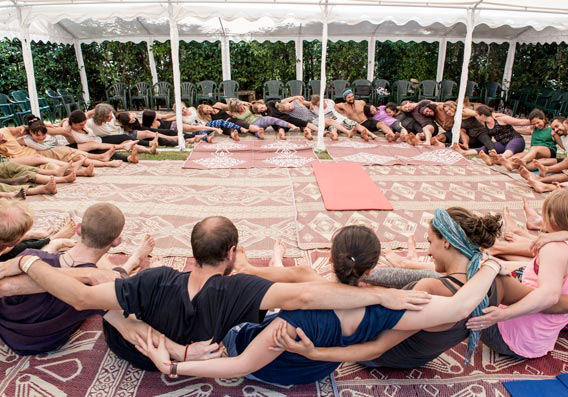 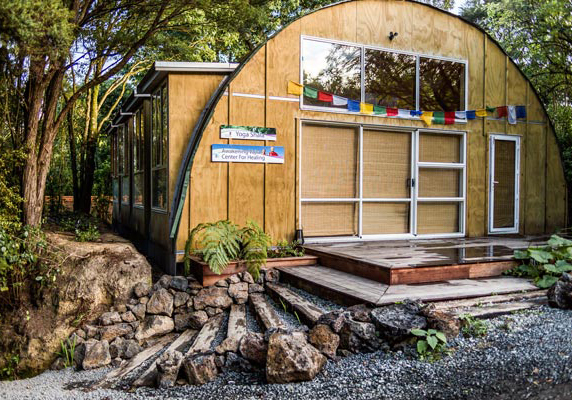 The Yoga Shala is our newest workshop space – a light spacious venue located in the bush. 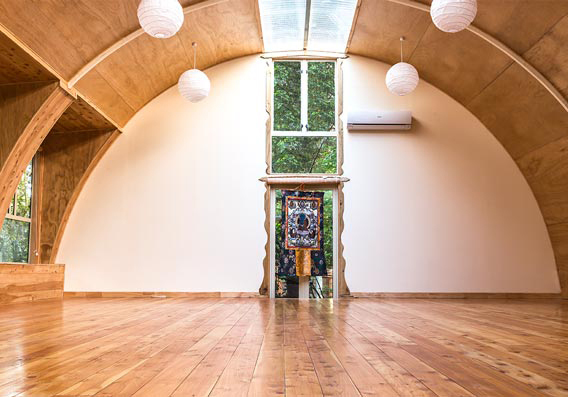 It has a wooden floor, wall-mounted heater and a beautiful acoustic for kirtan and singing. 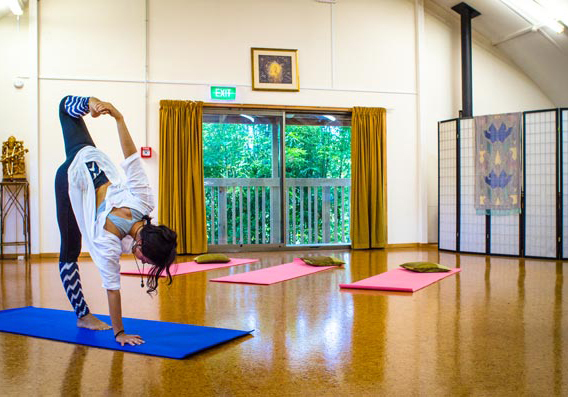 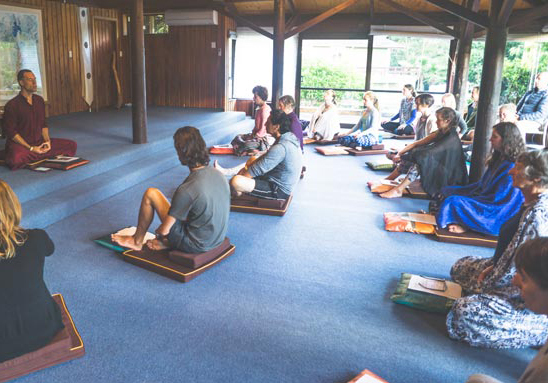 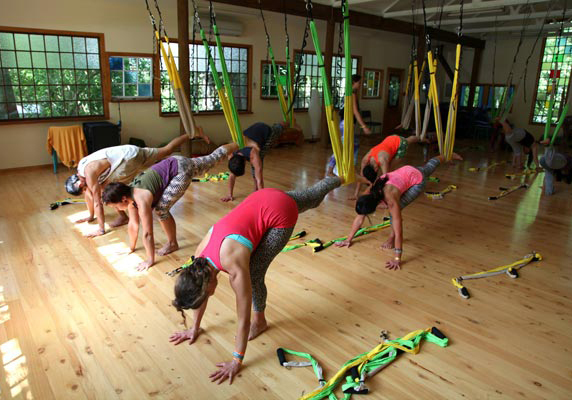 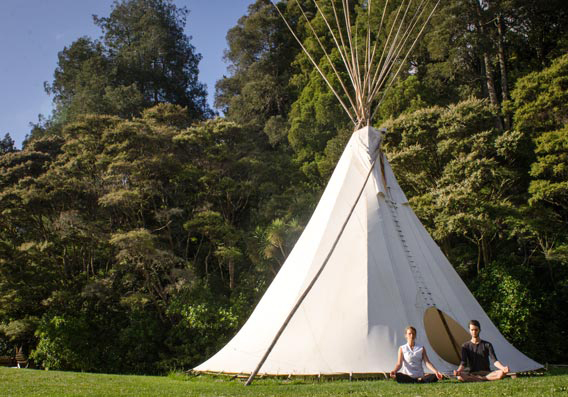 Features a broad range of Kawai Purapura yoga and meditation classes. 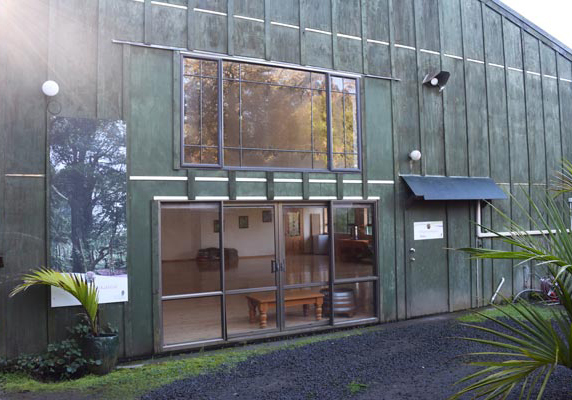 Whare Kahikatea is our beautiful new workshop space – a large open space looks out on a grassy plain sheltered by a large tree canopy and gently flowing stream. 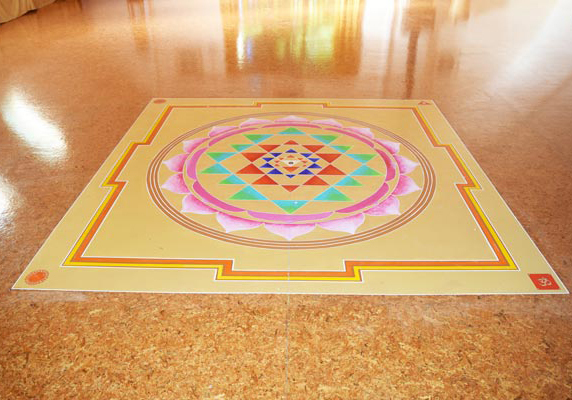 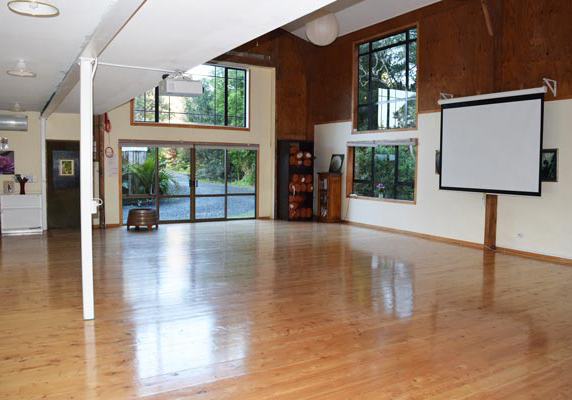 Ideal venue for larger seminars and workshops and physical activities such as yoga, tai chi and dance. 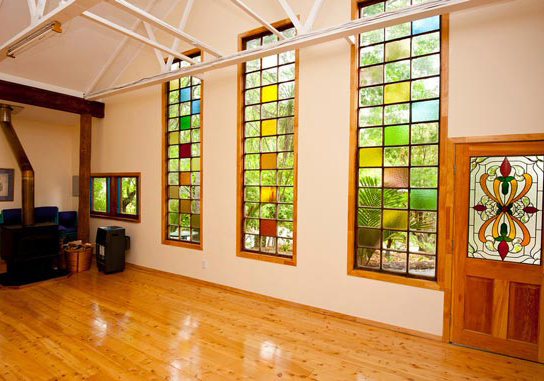 It has a high ceiling, expansive windows, and wood-burning fireplace. 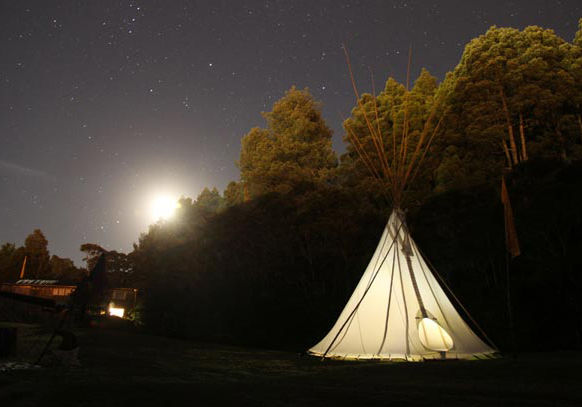 The teepee is a powerful space which has hosted a wide range of activities. 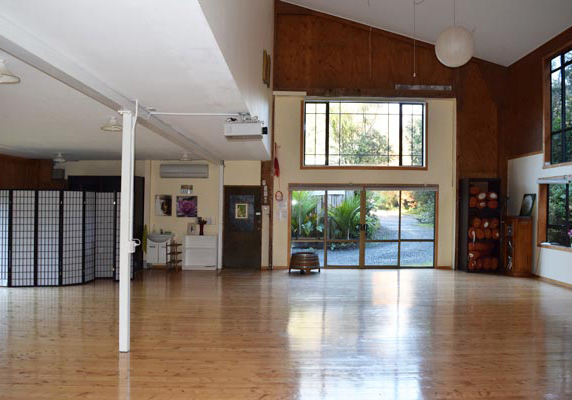 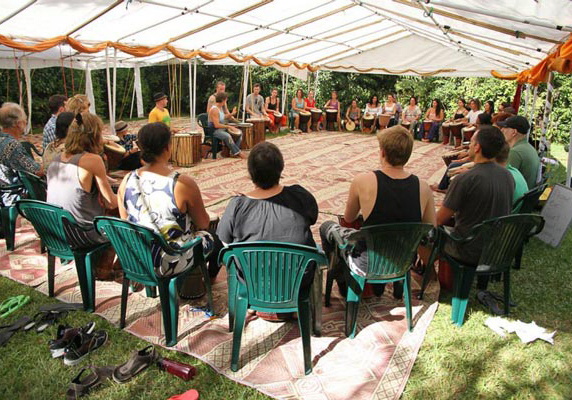 We use it for sit-down music concerts, stand-up poetry, African dance and drumming workshops, yoga and story telling. 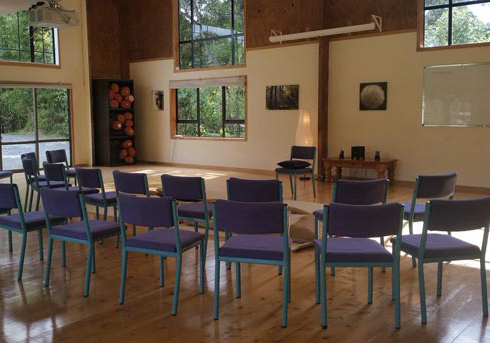 Chairs and/or mats can be provided. 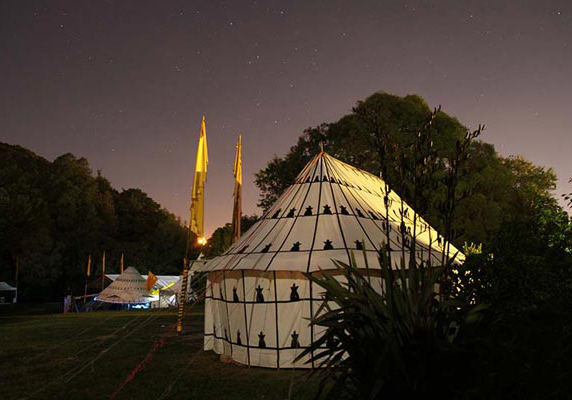 Perfect for adding a touch of Arabian magic to your event, Bedouin Tent is the newest addition to our retreat venue family. 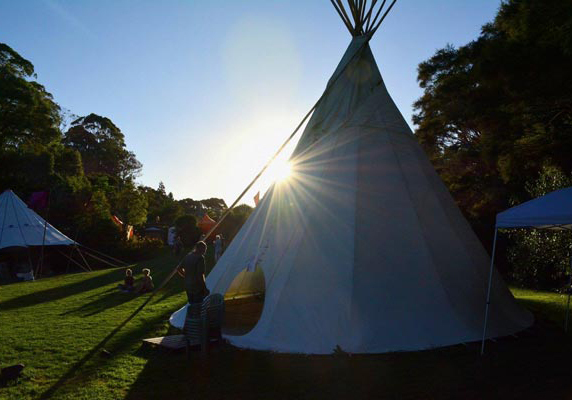 Oozing character and charm this tent is great as a secondary break out space and also available to hire for weddings and parties throughout the year. 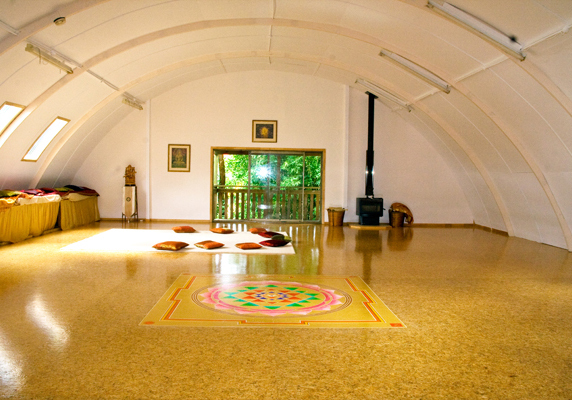 It can be set up with chairs, mats or cushions if required. 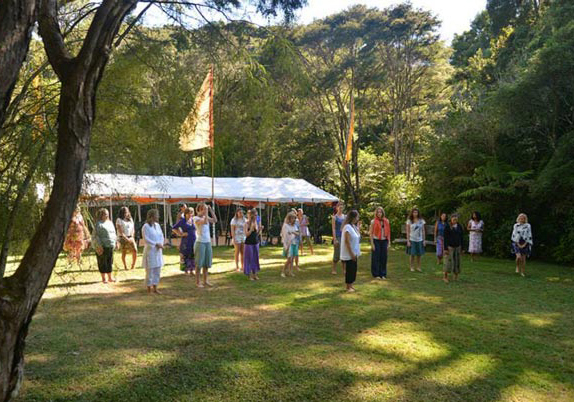 Up the path from the main centre, Glade provides a unique spiritual setting surrounded by trees and a gentle flowing stream for your special outdoor sacred activities, such as circle dancing, ceremonies, weddings and celebrations. 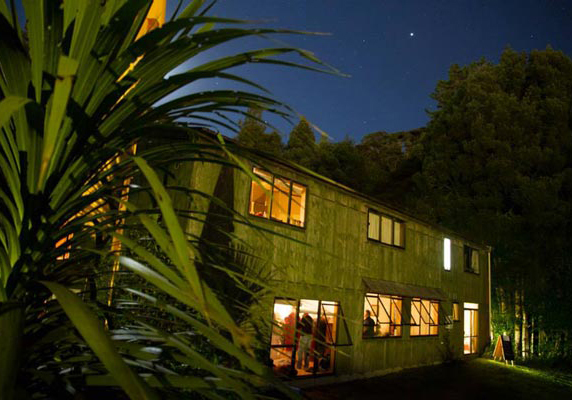 If you take a walk at dusk, you can enjoy an extraordinary display by the glow worms as the evening begins. 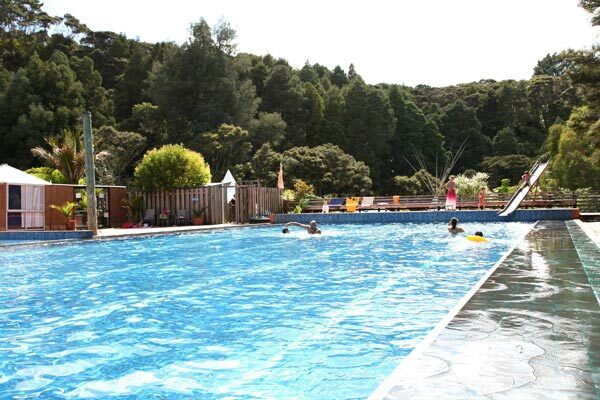 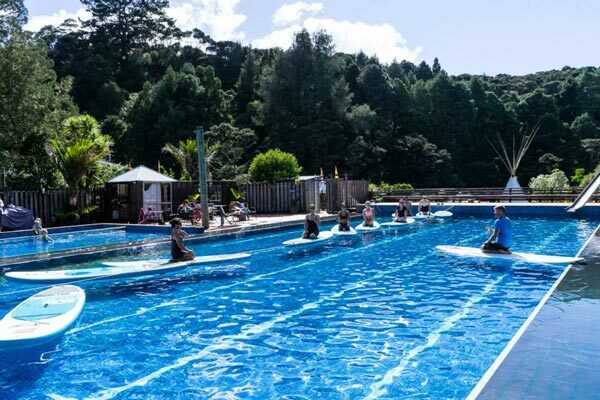 All guests, residents, retreat/workshop participants or festival visitors are welcome to use Kawai Purapura’s facilities such as swimming pool, sauna and SPA pool. 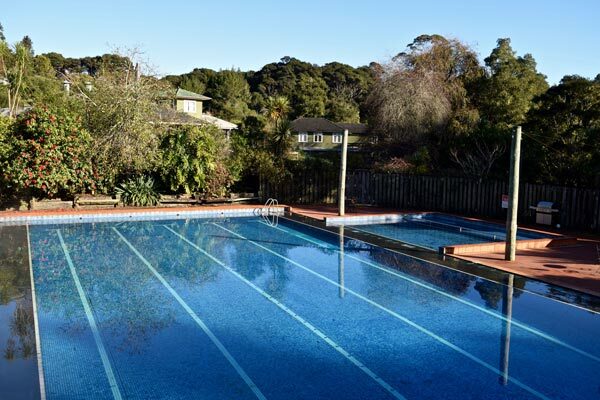 You can unwind or exercise in the 25-meter, non-chlorinated pool during the summer season. 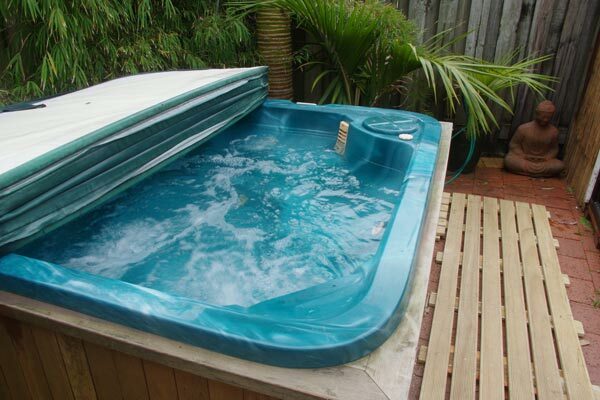 The sauna seats comfortably up to 2 people and spa pool seats up to 6. 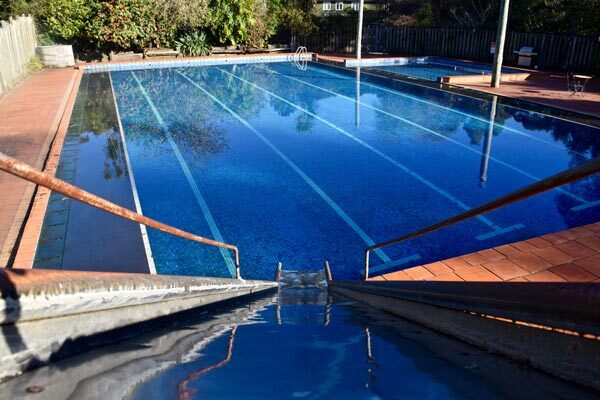 Both can be hired out for $15 per hour, or combined $20 per hour. 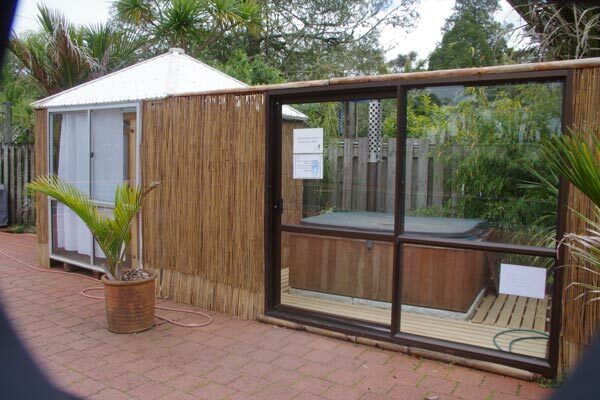 Spa and Sauna is complimentary for casual/retreat guests.